In 1954, Getman Brothers Construction Company entered the mining industry with the design and production of the Scoot-Crete. The small motorized wheelbarrow was used to transport concrete in municipal construction works ranging from parking ramps to roadworks. Perhaps its most famous use was in the effort to connect the upper and lower peninsulas of Michigan during the construction of the Mackinac Bridge between 1954-1957. 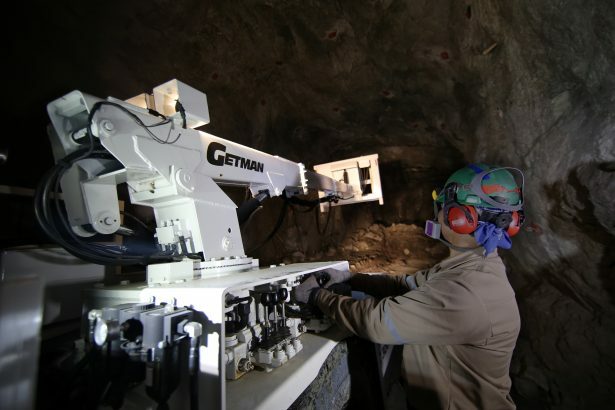 Today, Getman Corporation is headquartered in Bangor, Michigan and is a global supplier of mobile equipment to the mining industry, offering customer-specific solutions to underground mines in the production and production support classes of equipment. All Getman equipment is designed with extensive research and development and supported with over sixty years of experience serving the underground mining industry. In a competitive global market, competing on price is paramount. For Getman, this could be a challenge when miner safety is the number-one priority. “When in doubt, build it stout,” is an engineering approach that helped Getman design for optimum safety, but it could lead to excess material use, which may unnecessarily raise the customer price. Getman needed a better product development process that could meet all of their business and quality requirements, while helping the company evolve and grow with market demands. 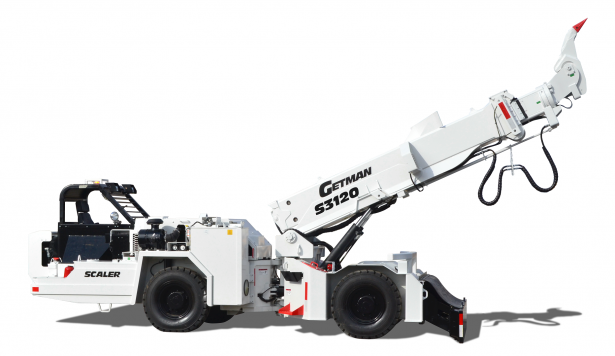 In 2008, Getman switched to SOLIDWORKS CAD as its primary 3D design and modeling software. The company also adopted SOLIDWORKS Simulation as a virtual testing environment. With SOLIDWORKS Simulation, Getman’s engineers were able to use FEA and motion analysis to reduce prototype costs, decrease design iterations, and bring material costs down without compromising miner safety. 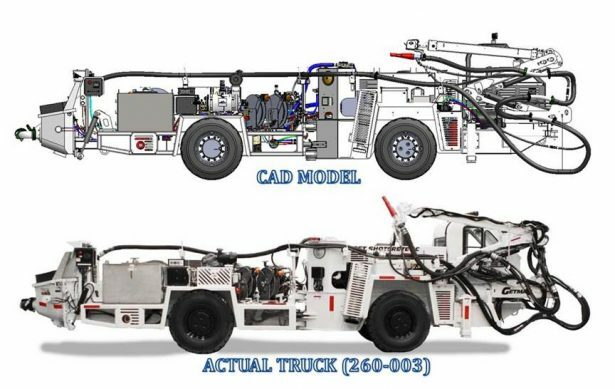 “SOLIDWORKS Simulation gives us confidence that what we’re predicting is what we’re seeing,” said Daren DiStefano, Product Configuration Engineer at Getman Corporation. As Getman grew in size, the need to improve collaboration and communication between departments became apparent. For the complex mechatronic solutions that Getman produces, multiple groups, including sales and marketing, industrial designers, mechanical engineers, electrical engineers, and manufacturing engineers, need to provide input throughout the design phase. This collaboration can often span over numerous revisions and prototypes. Once a design is accepted, purchased parts need to be ordered and manufactured parts need to be fabricated. From there, everything needs to be received, assembled, and tested prior to fulfillment. Without a product data management (PDM) solution it was extremely time-consuming, error-prone and frustrating to manage revision control, collaborate between departments, and support existing product lines. To solve these challenges, in 2010 Getman implemented SOLIDWORKS PDM. This helped them achieve a standardized release process, automation of redundant tasks, and overall a streamlined product development process. “Once you realize the awesome power you have with SOLIDWORKS PDM workflows, it’s hard not to get excited about it,” said DiStefano. With the ability to automate almost any redundant task, DiStefano views SOLIDWORKS PDM as a huge time-saver. “Our product data accuracy has gone up tremendously, and our engineering throughput is up quite a bit as well,” he said. Continuing with its efforts to streamline product development processes, Getman implemented SOLIDWORKS Electrical in 2015 to integrate its electrical, hydraulic, and mechanical design process. Prior to using SOLIDWORKS Electrical, Getman used 2D CAD tools to lay out its schematics. The manual nature of this older methodology led to inefficiencies with documentation, consistency, and design lead times. Attributing the automated and customizable wire lists in SOLIDWORKS Electrical, Caleb Youker, Electrical Engineer at Getman, said, “Three days of work is done in literally five seconds.” Youker also values the ability to leverage macros for common electrical designs. “Brake systems are going to be pretty much the same for 12 different truck designs,” he said. Leverage technology partners to research and make informed investments in hardware and software. Use SOLIDWORKS PDM for data management to add the correct balance of rigidity and flexibility to your product development workflow. When establishing your SOLIDWORKS PDM environment, use an iterative process with feedback from multiple groups and leadership. Communicate with other departments to find redundancies. Then use SOLIDWORKS PDM’s Application Programming Interface (API) to eliminate redundant tasks. Take advantage of Fisher Unitech services including, technical support, consulting, training, and events. Use SOLIDWORKS Certifications to create a culture of employee development and continuous improvement. With the complexity of the modern mining equipment Getman now produces, it’s hard to imagine this all stemmed from the Scoot-Crete motorized wheelbarrow. This evolution is no accident and can be attributed to Getman’s culture of innovation, employee development, and continuous improvement. Getman continues to foster this culture as they look to incorporate Industry 4.0 trends and autonomous functionality into their product lines. Getman has come a long way from the Scoot-Crete wheelbarrow and it’s clear that they’re just getting started.